Education is an important milestone in every individual’s life. It should be done with due diligence and planning. Education is a vast ocean which should be used to the core. It would help you to develop and groom yourself as a great individual. If you have the right education, you can make a good career out of it and thereby make a great living. The cost of education across the globe varies depending on the kind of education you plan to study. It is also dependent on the location that you chose to study. This would add to the cost factor as the lodging and accommodation would also be included. But the main point of discussion is the high cost of education at a higher level. This is when you plan to make a career out of it. The general metric and graduation studies are just fine if you do it from a reputed institution. This cost is still justifiable, but the higher studies cost such as for engineering, medical, business management or any other degree is sky high and parents and students go through a lot of pressure to arrange for the funds. The government and banks have come up with a solution to fight with such fund crisis. This solution is an education loan which is easily available through the leading banks and financial institutions. These lenders help the students to take as much loan they need for their courses. The banks and financial institutions have tie ups with the many leading educational institutions across the streams available across the globe. What are the types of Education Loan? Education loan is a huge umbrella which can be used by almost all the individuals. Even if you are a working professional, you can still apply for an education loan. This would help you get a boost in your career. It is easy to apply for a loan and get it approved if you have the right and clean approach. 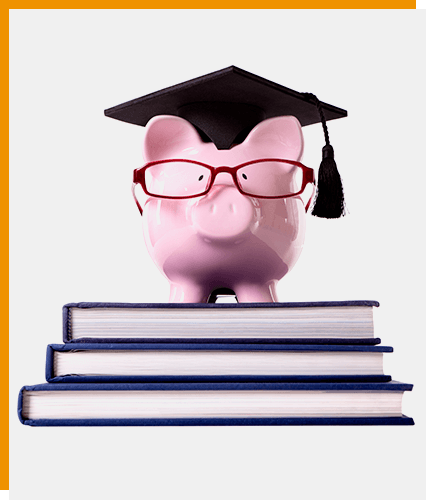 Let us look at the various types of educational loan available in the market. This loan is a general one but for students who have an exceptional knowledge and have scored well in their exams. These students know how to deliver under immense pressure and can go places. But with the shortage of funds, it is practically impossible to even think of higher studies from a reputed institution across the nation. These loans help such students who are exceptionally well placed with their knowledge can apply for a loan and get up to 40 lacs for their education. Such a sum is well enough to get an education within the country. In fact, they can start the repayment once they have a job post the completion of the course. There is a set timeframe for all such loans when the repayment starts. Such loans help the students who wish to pursue their studies from an international institution. It gives them a free hand to think beyond their capacity and make things happen for their own good. Since it is an international education loan, the cost of such education would be very high as compared to the local country institutes. You can pursue a full-time course with a loan coverage up to 1.5 crores in INR. This is a good sum to cover all your expenses including your accommodation expenses. You need to study hard for such an exposure and once you have it, there is no looking back here. You can go places in your career with such an exposure. There are many banks and financial institutions that take care of all the expenses including your travel cost, but you need to research well before you plan such a step. Students loan is the common loan that is available across the table for any individual who wishes to pursue a higher education in the country or abroad. It does not need any specific criteria that would pose as a problem in your education. It is easily available and can be applied by all students who fit in the general eligibility criteria. You can take an education loan for specific subjects such as vocational courses in an institute that you already have a seat secured. It gives you an upper hand to plan for your higher studies so that you may make a great career out of it. Such loans help you to focus on a specific subject and make a great foundation so that when you enter the market there is a better scope for you to make a mark. If you already have an existing education loan and feel that it is expensive as compared to the current one, then you may switch the loan to another bank or financial institution post making the research and calculation that you should. It helps you to make your loan cheaper so that some savings can be done. Usually this is done in almost all the loans so that the rate can be paid less over periods of time. How Does an Education Loan Work? An Education loan works on the principle of lending money to the students who wish to study further but have no money to do so. The lenders look at their current need and offer them educational loans without any collateral. Previously a collateral was a necessity for an educational loan but now it has been waived off. This is to help the students to apply for an educational loan without getting the pressure of the cost involved in it. The loan is under the name of the student and they can start repaying it once they get a job or two years from the date of study completion. This may differ from lender to lender. But generally, this is the protocol followed by the lenders across the country. Education loan has many benefits for the students who opt for it. This is a great way to help the students who do not have the funds currently to spend on the education but would have it when they get the degree, is a good way to boost their opportunities. Education loans start from INR 75,000 to INR 1.5 crores depending on the subject they choose and the degree that they would get. Loan covers the tuition fees and hostel charges along with the cost of books and any other costs that are borne by the student. In some cases, the cost of travel from home country to the destination country would also be covered. The rate of interest is less as compared to other loan products. It is on an average of 8.50% of the loan amount. Such loans do not require a collateral higher than the loan amount or for that matter no collateral at all. Margin money is not required for loans up to INR 4 lacs. Loans are available for almost all the subjects depending on the institute and the cost it carries. You can get a loan for graduation or post-graduation as well. Time is not wasted in getting the loan approved which helps the students to grab the opportunity as it strikes for any kind of education they wish to pursue. You can make your parents or guardian a co-applicant so that they can be the primary debtor unless you can repay a loan. This is the least you can expect from a bank and financial institution when they do not take a collateral. If you are asked to submit a collateral, it can be an insurance policy too, the proceeds of which would be going to the lender. It should be the value of the loan you have applied for. If this is not present, you can look for a tangible collateral as well to get the education loan approved. The disbursal is directly to the educational institution for the fees and to the vendor for any books purchase. This helps the students to not handle such kind of money and be relaxed to just concentrate on studies. The disbursal would be as per the institutes requirements and would be adhered to as required so that the studies are not affected. You can also get a top up loan if the cost of the education goes up or if there is some new course that would give a boost to your career. Banks and financial institutions are flexible in such a case so that the student does not suffer and can make a career of their own. The documentation is simple as not much financials are required. The records of the student with respect to his studies are asked apart from the general documentation. A sanction letter would be sent to the student in case of an international admission so that it can act as a proof that the funding would be managed by the lender. You need to consider a few things before you apply for an educational loan. This would help you to know which lender is better for such a requirement. There are many things that are to be researched so that your educational loan is the cheapest and the best in its features. The first thing you need to know is the interest rate that will be charged to you on the loan. This is the cost that you would have to pay to the lender as their income. Many lenders do not charge you anything extra until your repayment starts. But many do charge as well. This is a huge cost factor if you plan to repay on your own and you should look at it. The other aspect from a repayment standpoint is the charges and fees that would be charged. This can be the processing fees and penalty fees or charges which you would be charged when you apply for a loan. These usually come up at the start of the loan application or at the time when you wish to pre-close the educational loan. When you pay for processing fees it should cover all the fees and charges. But when you wish to pre-close an educational loan, there would be a pre-closure charge which can be a percent of the outstanding loan amount. It can be a huge cost and would also stop you from making a prepayment. There are many lenders who do not charge such fees as well. So, it is better to contact them rather than the lenders who would charge you such a cost. The repayment strategy is an important aspect that you should be looking at. This is the main point that would help you to get out of the liability once you start earning. You can plan the repayment period while you are studying and later take up a job according to the repayment plan. It should not be that your major earnings are going under repayments. You should also check if you can switch to any other lender without any extra charges to be paid to the current lender. You may come across a great scheme which could make your repayment cheaper. At such a point, it should not pose a problem to switch a lender. Therefore, you should know all such minute details as well. Government always looks at encouraging the students to take up loans which are collateral free and roll out many schemes and offers to help them plan for higher studies abroad or within the country. You should keep a constant vigil with banks and financial institutions so that you can look for opportunities to study further. You can also calculate your repayment structure even before you apply for an educational loan. This is possible with an education loan EMI calculator available at all leading bank and financial institution websites. So, make the most of such features and benefits and plan for a great career and future. At our Wealth County headquarters, located in the Pink city of india.